The Sun & Moon series continues with the Forbidden Light expansion set coming to the Pokemon Trading Card Game on May 4. 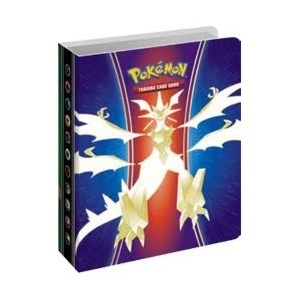 The Forbidden Light expansion reveals a new power in the Pokemon world, as Necrozma transforms into Ultra Necrozma-GX, and the other Pokemon must decide whether to join Necrozma or oppose it. In addition to Ultra Necrozma-GX, the set will feature other GX characters, including Lucario-GX, Greninja-GX, Zygarde-GX, Yveltal-GX, and Naganadel-GX, as well as Volcanion and Arceus. Altogether, the set will include more than 130 cards, with 5 Prism cards, 8 Pokemon-GX cards, 6 Ultra Beast cards, 15 Trainer cards, and 2 Special Energy cards. The heart of the expansion will be the 10-card booster packs, packaged in 36-pack display boxes, and Theme Decks, packaged 8 to a display. Boosters will also be available in sleeved, three-booster blister pack, and check lane blister pack formats. 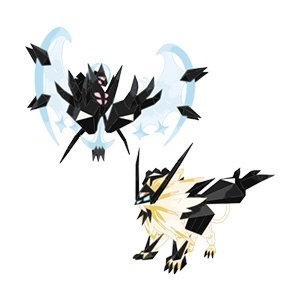 Necrozma will also be the focus of the new Dusk Mane Necrozma and Dawn Wings Necrozma Premium Collections. Each collection comes with two all-new foil promo cards, a foil oversized card, a figure, and a pin featuring the character, plus 5 Pokemon booster packs and a code for the online game. A Forbidden Light Elite Trainer Box will also release on May 5. Each Elite Trainer Box includes 8 Forbidden Light boosters, 65 card sleeves with an image of Ultra Necrozma on the back, 45 Energy cards, a player�s guide to the expansion, 6 damage counter dice, 1 coin-flip die, 3 acrylic markers, a collector�s box with 4 dividers, and a code for the online game. Collectors can keep their cards in the Forbidden Light Collector�s Mini Album Portfolio, which can hold 60 cards and comes with a Forbidden Light booster pack. 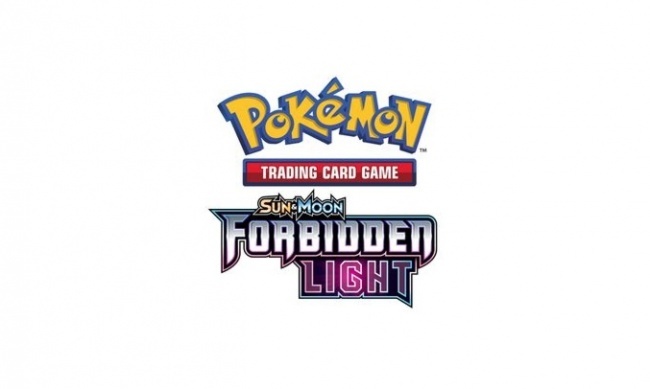 Forbidden Light follows April�s Sun & Moon Trainer Kit and Legends of Johto GX Premium Collection (see ��Alolan Sandslash & Alolan Ninetails� Plus �Legends of Johto GX��).